Warrnambool has wonderful paths and trails for walking and cycling for recreation and transport. 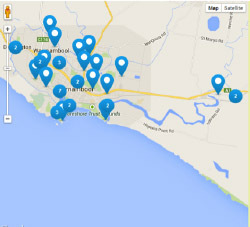 or go to http://walkingmaps.com.au/discover and type in Warrnambool’s postcode ‘3280’ for access to more than 40 interactive walks or cycle routes. These walks include coastal and riverside rambles, walk to school routes, lunchbreak walks for workers and more.